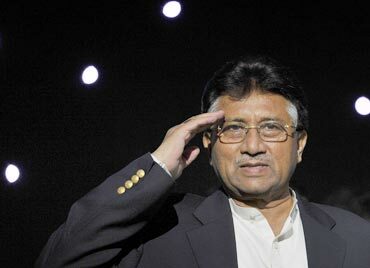 Former Pakistani President Gen Pervez Musharraf has said ex-army chief General Raheel Sharif’s intervention helped him in exiting Pakistan, indicating the powerful influence wielded by the military in the country’s affairs. Participating in a talk show on Dunya News, Musharraf said Sharif helped him leave the country by keeping the government from pressuring the courts. “Well, he (Raheel Sharif) did help me. I have been his boss and I have been the army Chief before him. He helped out, because the cases are politicised, they put me on the Exit Control List, they turned it into a political issue,” he said. When asked to explain, Musharraf, 73, said Gen Sharif played a role in “releasing the pressure” on courts to prevent him from leaving the country. The statement came weeks after General Sharif retired in November after completing his three-year tenure. He was succeeded by General Qamar Javed Bajwa. Musharraf alleged that Pakistani courts give decisions under pressure “behind the scenes” and this pressure was relieved by Gen Sharif with an “influencing” role. Musharraf was able to fly out of Pakistan in March this year after the interior ministry issued a notification to remove his name from the ECL, following Supreme Court’s order to lift the ban on his foreign travel. But the order from the top court had also said that the federal government or the three-judge special court trying the retired general for treason was free to make decisions to regulate his custody or restrict his movement. Musharraf is facing treason charges in Pakistan for imposing emergency rule in November 2007, arresting judges and limiting their powers. Besides, he is also being tried in murder cases of former prime minister Benazir Bhutto, Baloch leader Nawab Akbar Bugti and Ghazi Abdul Rasheed, who was killed during the operation on Lal Masjid in Islamabad which was carried out on the orders of Musharraf. Earlier this year, in a separate interview to The Atlantic in Washington DC, Musharraf had said that Pakistani social fabric was not conducive for democracy. “Army has always had a role since our independence. Army has played a prominent role in the governance of Pakistan, partially, because, or mainly because of mis-governance by all of the so-called democratically elected governments,” the former dictator had said. Musharraf knew where Osama was hiding?